To mark Roald Dahl’s centenary year (Roald Dahl Day is September 13), acclaimed director Steven Spielberg directs a magical adaptation of this beloved children’s classic novel. Oscar-winning actor Mark Rylance plays the BFG himself, with newcomer Ruby Barnhill as Sophie alongside a rollcall of great British actors, including Penelope Wilton (Shaun of the Dead, 2004), Rebecca Hall (Iron Man 3, 2013) and Rafe Spall (Get Santa, 2014). In this enchanting version of Roald Dahl’s novel an orphan named Sophie finds herself snatched away from the orphanage one morning by a friendly giant she names the BFG. 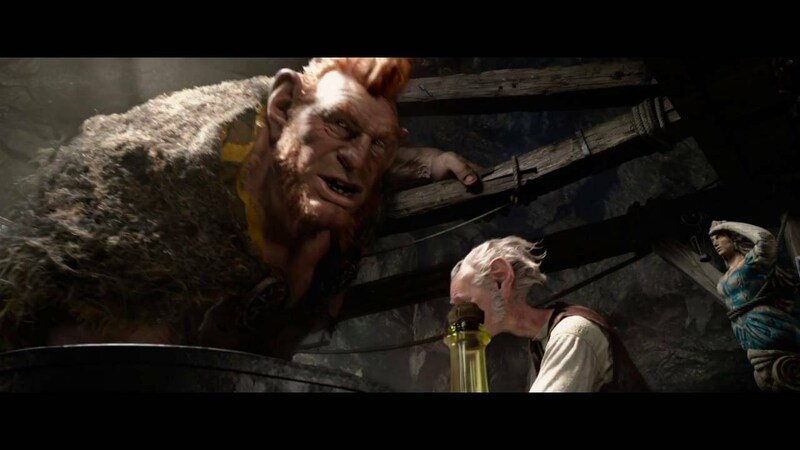 The BFG’s job is to collect, catalogue and deliver pleasant dreams to children. Sophie joins him on his travels, but they are followed by a group of evil giants, who have an altogether more unpleasant plan for the sleeping kids. Together, Sophie and the BFG must save the children from becoming the giants’ next meal! Combining the talents of two of the greatest storytellers, Dahl and Spielberg, with a sparkling script from the late Melissa Mathison (E.T the Extra Terrestrial, 1982) and a rich atmospheric score from John Williams, the whole spectacle is indeed scrumdiddlyumptious. The boundless talent of the great actor, Mark Rylance (Bridge of Spies, 2015; Wolf Hall, BBC 2015) is well to the fore, bringing warmth and assured delivery of the BFG’s eccentric – ‘a little squigly’ – language; his complex, nuanced, twinkly humour shines through in the fine, subtle details of the motion captured performance. Ruby Barnhill (Sophie) is a new emerging talent who has a touching chemistry with the BFG in this story of two lonely beings forming a deep connection. Bawdy, physical laughs abound when the BFG meets the Queen (Penelope Wilton) and Mr Tibbs (Rafe Spall) and introduces the Royal Household to the joys of whizzpopping. The BFG is a summer cinema delight for all human beans.